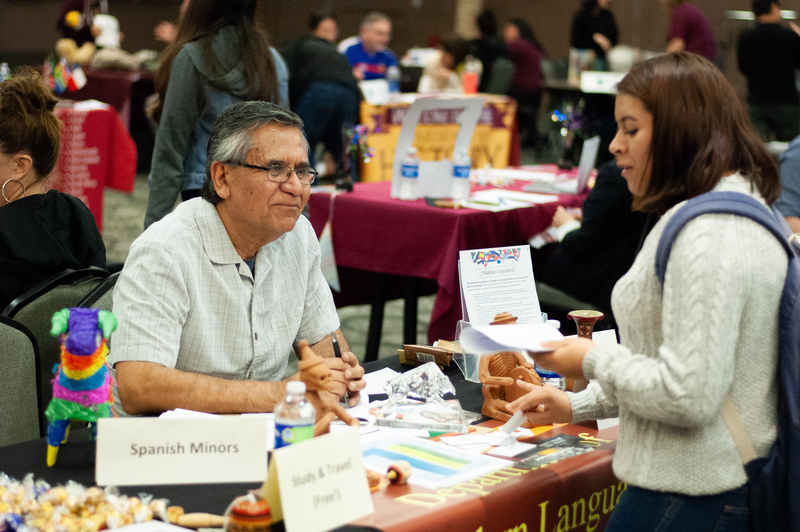 On Tuesday January 30ththe Career Center partnered with the University Advisement Center, Educational Opportunity Program, Encounter to Excellence, and Toro’s Guardian Scholars to hold their fourth Major/Minor Fair. The goal of this event is to promote awareness of the available majors and minors on campus, give insight towards exploring new paths and help students navigate through their career ambitions. To make things interesting, the Career Center created a scavenger hunt disguised as a template to help students navigate the fair by asking department vendors informative open-ended questions to receive quality information. Mariah Glenn, career coach for the college of natural and behavioral sciences at the Career Center, said the direction is driven to teach students how to network and inform them their major does not put them in a single box for the rest of their career. Minors can also be used to develop your existing motivations. Isaac Mahoi, digital media arts major, found that he is interested in exploring a graphic design minor after attending the fair. As a Youtuber and digital media artist graphic design can be an integral part of growing your brand. For more information on the existing major or minors offered on campus, stop by the Career Center and they’ll be happy to help you out.